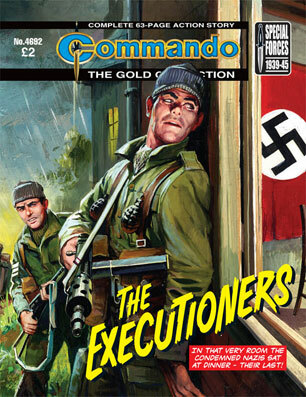 I just realised that the cover of UK comic book Commando issue 4692 has a drawing by my all time favorite artist Chako. This issue, titled “The Executioners”, was originally printed in book 118 in May 1964 and first saw re-print in book 647 in May 1972. In those days Chako was a highly visible artist, but very little was known about the man. I own hundreds and hundreds of comic books with his artwork but I only found out about his name a few years ago. And he is still a bit of a mystery. Books should have been written about this guy. In any case, I never knew he worked for Commando, so this is fab. RETROFUTURE 7 is in the works and we will put about 85% of it down this afternoon and get the rest down within a couple of weeks (fingers crossed). That means a mid May release, which I hope to achieve. 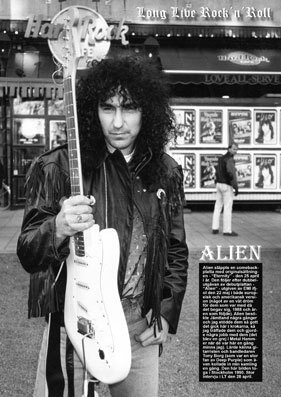 Seen here is a shot of Alien guitarist Tony Borg that I took back in 1990, which will be part of this issue. The band has a brand new album out on April 25 called “Eternity”, so the timing is good to look back on the good old days right now. Still get a kick from this.